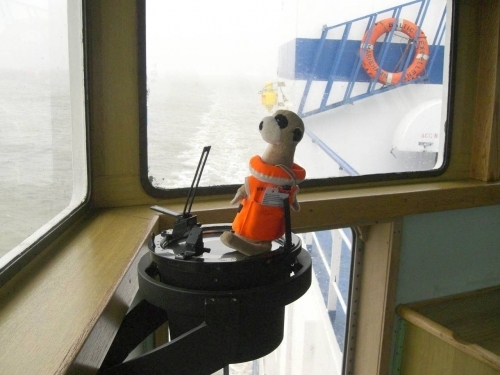 After beeing home for a few days, Fred continued his trip around the world. 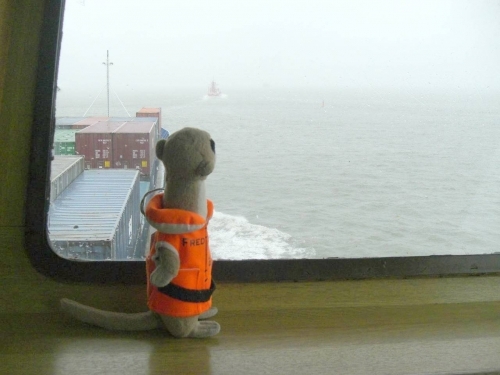 He is now on MV "Baltic Excellent", a Ro-Ro-Ship. First port will be Antwerp und after that Rouen in northern France. Freds aim is to see Asia, Australia and New Zealand. Sam (one of the mates) is now taking care of him. We are looking forward to the next report. A rainy day on the river Elbe. Fred is happy to be on tour again. Full ahead ! !